A Special Confinement Food After Delivery Care. 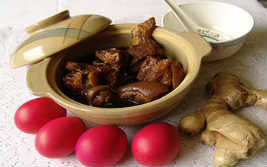 Chicken promotes the formation of phlegm which is not true. Seafood of shellfish like clams, scallops and oysters tend to harbour more bacteria than other seafood. Avoid spicy food may cause heartburn and flatulence to mother and baby through consuming through breast milk. Fermented Foods Fermented foods are known to cause flatulence in both mother and baby. More and more pregnant mother (mothers) may choose to cesarean section for birth, because of fear of pain and fear of dystocia and may due to the health condition. 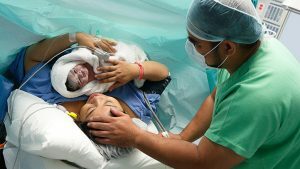 The women childbirth undergo the surgical c-section is different from the vaginal delivery; especially if they are over 40, because of the increased risk of complications in older mum. Cesarean delivery is a crucial abdominal surgery which involves an incision through the skin, muscle, guts, and after that into the uterus. Surgical wound is large and wide. 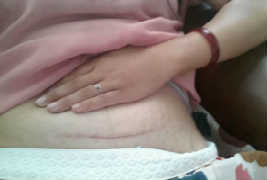 It is about 10cm long incision at pregnant woman’s abdomen to remove the fetus and then stitched. From start to finish, including pre-operation and post-operation, a typical c-sect going on for 3-4 hours. As it is connected to vaginal, it may also cause the vaginal bacterial to flare up. 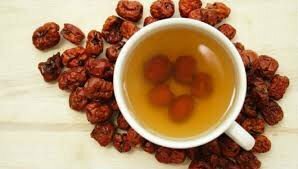 There are many complications and post-disease, the common complications are fever, uterine bleeding, and urinary retention, etc. 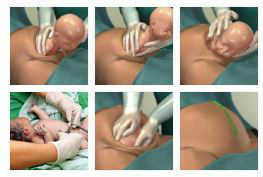 Caesarean section maternal should drink a lot of water during the confinement. This is not only to prevent constipation is also helps you breastfeeding. 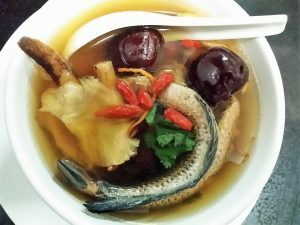 Chinese confinement meal used to serve Confinement Drink of ginger tea and red date tea; and Confinement Tonic of red wine chicken soup, ginseng chick soup etc. ; substitute as water in take. Your belly will deliver sore for some time but your wounds will get better days by days . When you cough or laugh, your hand can hold onto the wound to withstand your stomach will help to ease the pain. If there are signs of infection, including wound fever, redness or swelling ; wound exudation; worsening or sudden pain; or systemic fever (even if your wound looks good), timely treatment shall not be neglected; consult the doctor immediately. At Happy-Mummy Singapore Confinement Food Delivery, the style of Home Cook Confinement Meal; select only the best fine ingredients with the healthiest choice. All ingredients are specially selected by our chief and supervise. It delivers fresh daily from our reliable supplier. All staff has to undergo a mandatory food preparation and food hygiene training to ensure food serve to our customer are safe and maintain a consistently high-quality standard. Disclaimer: Happy-mummy is not an expert on anything with regards to miscarriage diet. The written information is just a suggestion and never replace the advice from the medical professional.